Brockton MA Public Insurance Adjusters | Pipe burst, ice dam, water damage claims experts. Winter storm insurance claim experts helping Brockton MA home owners and business owners with frozen water pipe bursts, ice dams, and structural collapse insurance damage claims. Attention Brockton, Massachusetts policyholders with wind and flood damage from recent winter storms. Global Patriot Adjusters, LLC is a company built to complete the single goal of making sure that every dollar deserved to clients from an insurance claim, is given to them. We maintain the best reputation in the public adjuster business because we take every claim for every client as a project with personal ownership and accountability. We work for you to maximize your claim. Let our Global Patriot Adjusters help you get maximum payout for your Brockton MA structural damage insurance claim. We take the pain out of the process. Let Global Patriot Adjusters help you get maximum payout for your Brockton MA wind and structural damage insurance claim. We take the pain out of the process. Brockton, MA is a part of Plymouth County and is the 7th largest city in Massachusetts. Known as the “city of champions” because of their champion boxers, Brockton hosts its own baseball team the Brockton Rox. Brockton is one of the windiest cities in the U.S. with an average wind speed of 14.3 mph. Brockton was named as one of the “100 Best Communities for Young People” in the United States in 2005, 2008, 2010 & 2011. 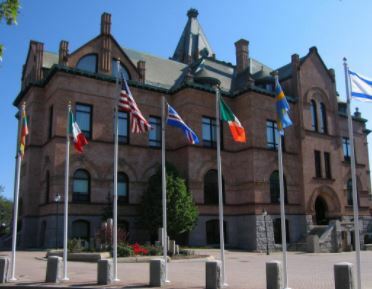 Brockton has a lot of rich history, it has a lot of museums in the city including; the Fuller Craft Museum, Brockton Fire Museum, Sacco & Venzetti Museum & they even have a Shoe Museum. Read more about the history of Brockton, MA.